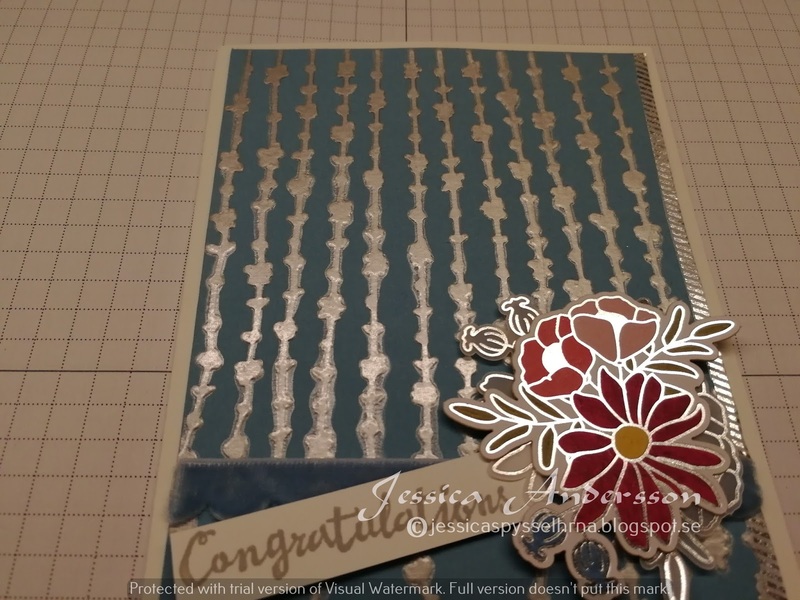 On today´s card I used som silver embossing paste. 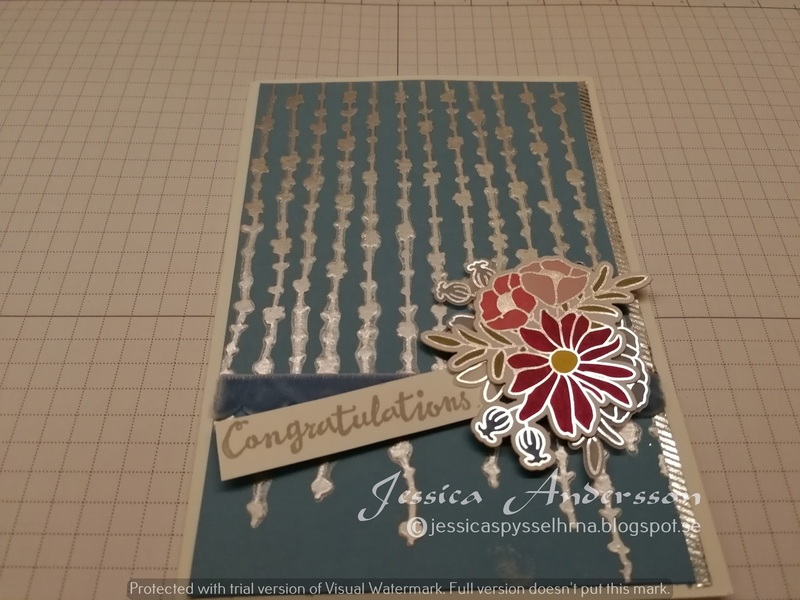 I saw a card similar to this on Pintrest by Windy Ellard. I used thick whisper white as base for my card. On a piece of Marina Mist I embossed with silver and embossing paste on a Sweet Soirée mask. Then I added some ribbon and flowers from the Sweet Soirée Embellishment kit. 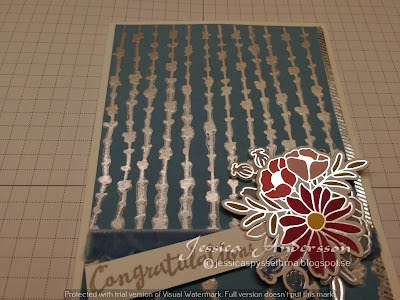 The sentiment is from the stamp set Petal Palette.